The lens of Ottessa Moshfegh’s Homesick for Another World is, almost without exception, fitted close-up on conversations, petty rumination, and squalid interiors. In his impressionistic book-length essay Humiliation (2011), critic Wayne Koestenbaum proposes that humiliation is determined by context and scenario (he singles out markers of gender, race, and class) as much as by inner evaluations. Its “soundtrack,” he asserts, is a sickened stomach, and it “comes with its own proscenium.” The particular notes it strikes are contingent upon “what you look like, what you sound like, how much money you make, how you walk, how you smell, where you put your garbage.” A time, a place, or a glance can spark the dreaded emotion, but so can an inability to determine what or where one is, the failure to relate or be legible to others: “If we dwell in limbo, in transition, that homeless location, too, is humiliating.” The stories in Ottessa Moshfegh’s first short-story collection, Homesick for Another World, span this entire territory of mortification with precision, humor, and a pleasurable cringe. But what is most seductive about these stories is Moshfegh’s exploration of humiliation as a liminal space, where the unrepentantly rotten world brushes up against its characters’ erring imaginations—an interminable, awkward stage that generates plot, mood, and possibility. Career-wise, Moshfegh has absolutely nothing to be humiliated about. Her novel Eileen (2015) won the PEN/Hemingway Award for debut fiction, and her novella McGlue (2014) won the Fence Modern Prize. Her stories have been published in The Paris Review, The New Yorker, and Granta, among other magazines, and won her the Plimpton Prize in 2013. At 35, Moshfegh has shown that she can write across genres—experimental, noir, Paris Review story—about people coping with the shame of feeling out of place in the world. The narrator of Eileen is a champion of the abreactive, boldly giving expression to the ways she feels diminished in society. She despises fads, novels, and, above all, the ignominy of inhabiting a dirty home (the kind she was born into, in a Massachusetts prison-industry town she dubs “X-ville”). “People truly engaged in life have messy houses,” Eileen proclaims, “I knew this implicitly at age twenty-four. Of course at twenty-four I was also obsessed with death.” McGlue, also named for its narrator, is the story of a man imprisoned on murder charges who has no ability whatsoever to disguise his personal failings. His self-hatred is far less processed than Eileen’s, given to leaks rather than formulations. Meanwhile, the occasional descriptions of nature that crop up in Moshfegh’s stories read like the lackadaisical attempts of sloppy indwellers. Here’s a sampling, each from a different story (“Bettering Myself,” “A Dark and Winding Road,” and “The Weirdos,” respectively): “A cloud flew around in the sky”; “Everything was beautiful and dark and powerful the way nature is”; “A crow came and sat on the sill of the window. It seemed to roll its eyes.” No matter where you are in the book, you can bet that if the air seems fresh, it’s just Moshfegh being droll. Her dismissive tone is a counterpart to the observations of characters who are far more concerned with maintaining a minute, almost claustrophobic sense of control over their thwarted lives. Moshfegh shows her characters taking out the trash a lot. The lens of these stories is, almost without exception, fitted close-up on conversations, petty rumination, and, of course, squalid interiors. 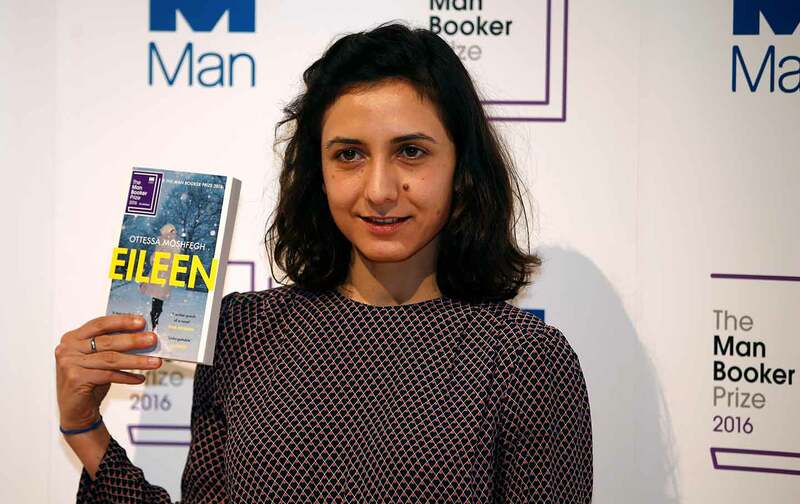 And none of Moshfegh’s characters “get it”: It’s part of what makes her writing so inspiring. The female narrator’s boyfriend in “The Weirdos” has overdosed on his own “theories” of reality. One is that light carries knowledge; another is that intelligence comes from the heart, blood type, and magnets. Like 30 Rock’s Dennis Duffy, his narcissistic thirst for mastery is relentless, a quality that Moshfegh nails to the last dirty detail. “I noticed you spilled your coffee,” he says self-righteously to his girlfriend, “so I wiped it up for you.” Of course, he does more than that with his hands. Just like the advice from the “regular” guy in “Malibu,” what Urzula offers is no prescription. This type of freedom is not what most people aspire to, yet for several minutes after finishing that final story and setting Moshfegh’s book aside, I delighted in a fantasy of myself as a noxious, enigmatic heap of loneliness that nobody would touch—and therefore could be anything. Then I felt embarrassed for myself.